A little over three-quarters (77 percent) of workers say they connect to free or public WiFi while traveling. Some 63 percent will use public WiFi to access work emails and files. Those are just a couple major findings from a chilling (if predictable) new digital security survey conducted by threat management company ObserveIT. The survey included more than 1,000 U.S. employees ages 18 - 65+ who have traveled with corporate devices in the past year. Well, we have a nice little present for you. This module is 12 minutes in length. Free Access during November and December 2018. The purpose of this course is to make learners aware of the latest threats to security for the modern traveling business person. 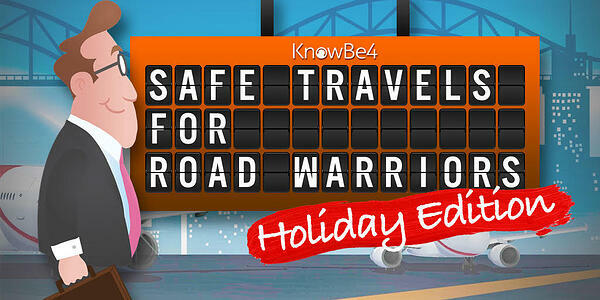 This course will also provide strategies and practice advice for traveling safely. 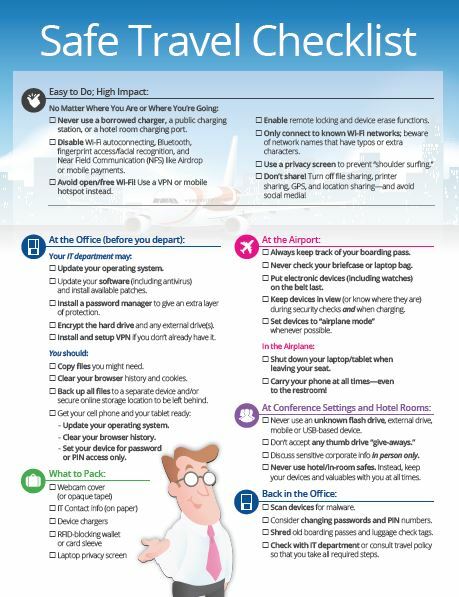 Know how to properly prepare for a business trip and avoid exposure of business, client, or even personal information. Strategies and practical steps that can be taken to mitigate security concerns that can arise while traveling. Printable resources—and we suggest you grab the PDF from the module, print and laminate it and give it to all your frequent travelers. It's the whole module summarized on just one page, incredibly handy. 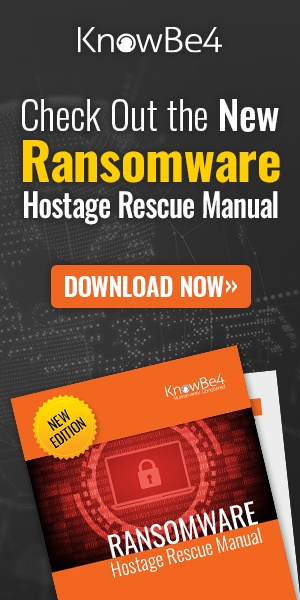 Here is the PDF as a free job aid you can give to your employees. We strongly recommend to step Board members, C-levels, and any business traveler through these 12 minutes. I guarantee that even the most savvy road warriors will learn a few new tricks!